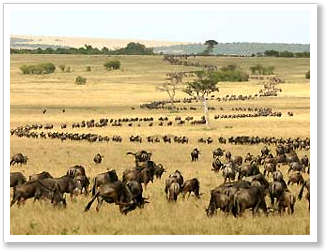 See a Great Migration for Yourself! 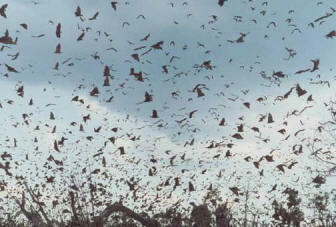 One of the most moving nature experiences I’ve had was when I witnessed the migratory phenomenon of the monarch butterflies as they began to leave the mountains of central Mexico in early spring, bound for the milkweed fields of Texas and eventually the northern reaches of the U.S. and southern Canada. As delicate as these tiny creatures are, they have a presence en-masse that is quite extraordinary – in fact, you can even hear their wings fluttering, like a gentle hum, when hundreds of thousands of them fly together. I watched them float in an endless river of orange over my head, as they left their winter roosts in the oyamel forests and began to fly north. While the migrating monarchs’ journey is amazing, they are hardly the only creatures that undertake an annual transit from one place to another and back again. It’s been exciting to follow the National Geographic Channel’s new documentary, Great Migrations, and related multimedia, on these impressive animal travelers. Anyone who has witnessed migrating wildlife knows what a marvel their journeys are. Whether it’s a million wildebeest that move in long, flowing columns across the Serengeti, or the gray whales’ annual swim from Baja to the Bering Sea and back, or even the taken-for-granted flight of the Canada geese who honk overhead in fluttering Vs, it’s quite remarkable to consider how these animals instinctually know when and where to go to ensure their survival. There is nothing like witnessing the monarch migration for yourself, which you can do on Nat Hab’s winter and spring trips to Mexico’s butterfly sanctuaries. Or opt for an amazing encounter with African wildlife on the move on our Great Tanzania Migration Safari and Great Kenya Migration Safari. Game drives and small, private safari camps put you in remarkable proximity to myriad plains animals – not only the thundering herds of thousands of wildebeest and their zebra companions, but also gazelle, impala, hartebeest, topi and giraffe, with predators like lion and cheetah in close pursuit. 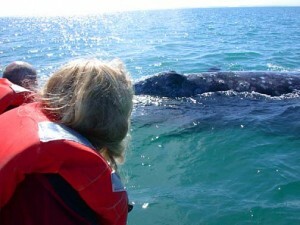 If your travel tastes run more to marine environments, consider a close-up encounter with the Whales of Baja. Each year the Pacific gray whales return from their summer feeding grounds in Alaska to the protected waters of San Ignacio Lagoon, where a new generation of calves is born. Or, check out our Spirit Bears and Humpback Whales of BC adventure, to scout for these singing cetaceans on their own southbound migration route down the Inside Passage. You’ll see a whole lot of salmon migrating up the coastal streams, too, drawing bears to the water’s edge for their annual fall feast.